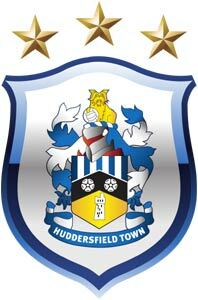 Find Out What's On Huddersfield & Holmfirth | Huddersfield Events Diary. the organisers or another information service before travelling or incurring any expense. Events can be cancelled or moved at short notice. The market takes place at New Street (near Primark). The market offers something for everyone with handmade crafts, locally produced food, antiques, collectibles, fashion and lots more. Looking for good quality accommodation in the heart of Huddersfield? Independently run by the Marsden family since opening in 1999, the Lodge has built up a reputation for friendliness and excellent accommodation at sensible prices. Full Award winning English Breakfast, Secure Onsite Parking, Free Wi-Fi and Central Huddersfield Location. Free Entry and only �2.50 a pint! 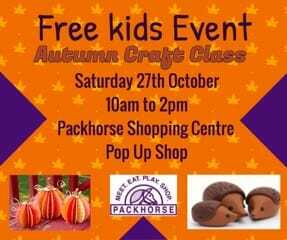 Free drop-in workshop free face painting and balloon balloon modelling. 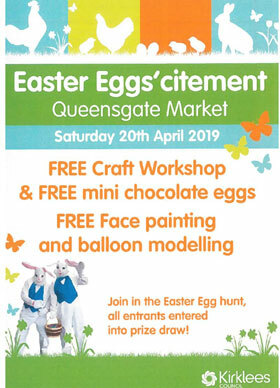 Free face painting, cradft workshops and mini cholcolate eggs. Join in on the Eater Egg Hunt! All entrants entered into the prize draw! 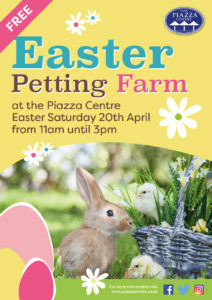 Our FREE Petting Farm is back! a unique opportunity to get close to lots of super cute Spring time animals. Discover cute chicks, fluffy bunnies and cuddly Lambs and baby goats. 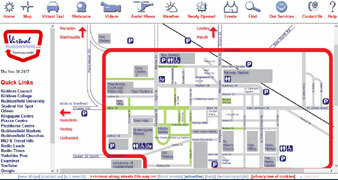 Visit the website below for further route details. Golcar Lily Day is in the dynamic village of Golcar, on the edge of Huddersfield where the locals are known as Golcar Lilies. The local village fete, has an art exhibition, face painting for the children and fun and events for all ages. Colne Valley Museum will be open all day offering children's make-it-and-take-it-home activities as well as baking the famous Golcar Lily Loaf in the Victorian kitchen. There will be ongoing craft demonstrations throughout the day and delicious homemade cakes etc on sale in the cafe. Golcar Lily Day takes over Golcar village each year bringing live music, dancing, stalls, food and drink, children's activities and more. The village fete also boasts a parade, competitions, beer tent, morris dancers, tractor pull. Holmfirth Festival of Folk grew from the ashes of Holmfirth Folk Festival in 2005 and has become an excellent community based festival which draws in a large local audience in addition to the usual 'folkies' who travel around the country visiting the many folk festivals that take place throughout the year. HFF will take a break from its full festival week this year. Instead, we'll present a jam-packed weekend celebrating the role of Women in Film, with the best of the year's award winners, classics, talks, discussions and events. Don't miss one of the biggest concerts held in Huddersfield! All participants receive a goodie bag per entry, plus rosettes for each dog taking part. We also have an obedience display, stalls and a fun dog show to enjoy on the day. We encourage you to sign up early to get our early bird registration discount and have plenty of time to start collecting your sponsorship! 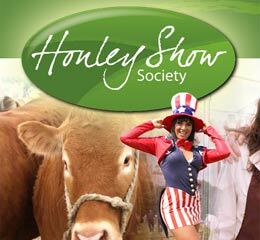 Honley Show is one of the most prestigious, best attended and well respected rural shows in the country. The Show's Farnley Tyas showground remains one of the region's best venues to showcase a stunning range of activities, agricultural events, stands and displays. 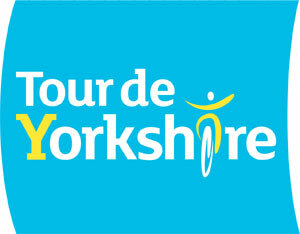 It provides a fun day out for all the family whether you live in Kirklees, West Yorkshire or the North of England. Video Watch our Video here! 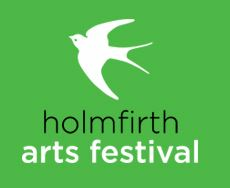 Holmfirth Arts Festival includes music, art, comedy, theatre, literature and inspiring things to do in Holmfirth and the Holme Valley. 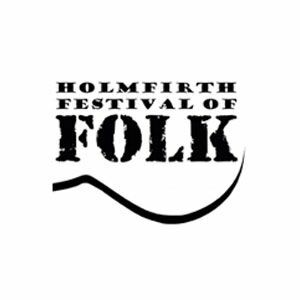 We celebrate the landscape of this beautiful part of Yorkshire, inviting audiences to enjoy events in picturesque village halls and churches, cafes and teashops, Holmfirth’s atmospheric Picturedrome, up on the hills overlooking the town and in surrounding woodland. If you already know Holmfirth and the Valley, the festival is an opportunity to see it a little differently. If you’ve not yet discovered this lovely part of Yorkshire then June is the perfect time to visit! We make the village of Meltham go back in time, with themed entertainment and attractions in and around the village centre. As in the past there will be games, rides, food stalls and much more. There is also musical treats. We have usually been very lucky with the weather and lots of ice cream has been consumed on the day! 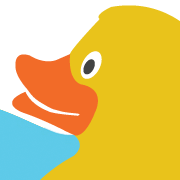 Since 1983, Holmfirth Duck Race has raised almost �300,000 for a wide variety of local good causes and charities. Organised by Huddersfield Pendragon Round Table, the Duck Race is a family-oriented day out that takes over the famous Yorkshire town of Holmfirth on the first Sunday of July every year. And this year, it’s even bigger, with the Duck Stock musical festival, where a variety of great bands will provide a full day’s family-friendly entertainment. Cancer Research UK's Race for Life is an amazing women-only series of events which raises millions of pounds every year for life-saving research into 200 types of cancer - helping men, women and children across Yorkshire survive. Race for Life is non-competitive. Women and girls of all ages, shapes and sizes can choose whether to walk, jog or run the 5k route. Most are able to walk 5k in an hour. All women are welcome, regardless of whether they are taking part on their own or as part of a group. By uniting - and enlisting the support of the men and boys in their lives - women across Huddersfield can make a stand against cancer - a disease which affects 26,700 people in Yorkshire and the Humber every year. artWEEK is a local event with a national reputation – most of the exhibitors are from this area but visitors come from all over the country to view and to buy. It is astounding how much artistic talent there is locally – it is this that makes the event such a success . 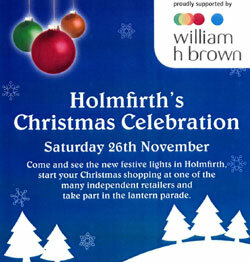 . . and brings so many visitors to Holmfirth every year. Concert on the Hill is an outdoor event where the great traditions of Yorkshire are brought together. Lindley Brass Band and two great male voice choirs, Honley and Colne Valley. The format is similar to the last night of the proms, complete with a firework spectacular finale. 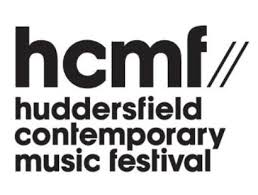 Every year families from all over Huddersfield and Yorkshire converge on this idyllic sports arena to watch top quality local musicians perform the true British classics of years past, Land of hope and glory, Rule Britannia, God save the Queen. They bring picnics, tables and chairs, gazeboes, even candelabra. The atmosphere is informal and epitomises Yorkshire friendliness, every one wandering about marvelling at the efforts that people have gone to for an evening of classical entertainment. The spectacle is finished with a dazzling firework display in time to the 1812 overture. After which many spectators and performers retire to the sports club house for yet more refreshment. 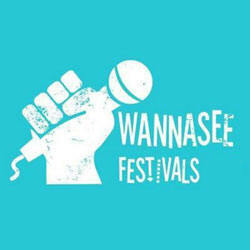 Wannasee Huddersfield features a stunning variety of Europe's finest tributes, many of the most popular acts in the World, past and present. This fantasy line-up could never normally be seen together all at once, but across a packed day you can see all these bands, offering the most accurate live tributes to the artists they represent, in stunning detail. 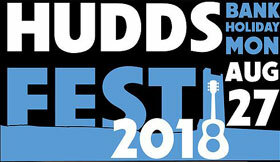 (Hudds Food Fest) promotes Huddersfield as a vibrant town and raise the profile of local and regional businesses. 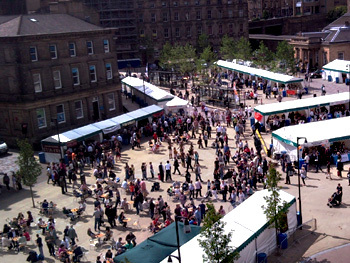 (Hudds Food Fest) is the largest Festival of its kind in Yorkshire and last year attracted over 100,000 people. Last year’s festival was considered the best year ever, with individuals and families travelling from across the region and as far as Liverpool, Cornwall and New York to join us. We are proud that over 90% of the food and drink businesses who exhibit at the festival are from Huddersfield & Yorkshire. 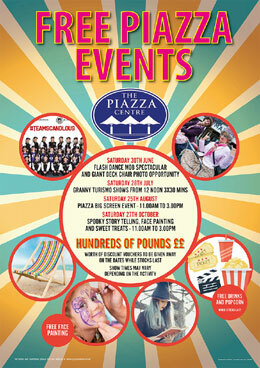 Don’t miss these fantastic FREE Family Fun Days here at the Piazza. Hundred's of Discount Vouchers to be given away while stocks last! This family friendly fun day and music event is held within the stunning grounds of the Ukraine Club and brings together a plethora of local music and performing art talents to perform, with all proceeds donated to the Welcome Centre, Huddersfield who provide a range of supportive services including a food bank, bedding, clothing and advice to individuals and families in the area suffering with poverty and in financial crisis. Every single penny counts and is put to great use, to assist people in getting back on their feet. Marshfest 2019promises to be a fantastic day of fun, laughter and enjoyment for all ages. Bringing a mix of internationally known bands and local legend bands to Storthes Hall for a one day event that will put the festival on the calendar. There will be things to do for the kids, the adults and the seasoned festival go-ers... it�s just what the town has been crying out for... so we�re delivering it! See website below for ticket prices. The Student Lock In - the biggest student shopping extravaganza of the season is here again at Kingsgate Shopping Centre Huddersfield. Visit the Holmfirth food and drink festival and be prepared to take your taste buds on a tantalising journey. Food stalls offering the very best of local, European and international foods will fill the streets of this idyllic town centre. Cookery demonstrations will take place over the weekend including chefs' master classes, celebrity ready steady cook and much more. Watch the Holmfirth Food and Drink Festival video below. The International Market returns to Huddersfield on New Street, Market Place, Cloth Hall Street and King Street with a huge selection of traders from across the globe. 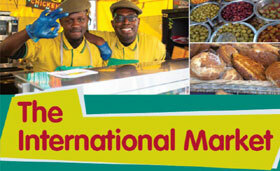 Shoppers will be spoilt for choice with a great variety of tasty treats and unique crafts form all over the world. Showcasing a wide range of jazz musicians from internationally-acclaimed artists to local school bands and rising talent. The 2018 competition will include the eighteenth competition for the Rotary Club of Holmfirth Millennium Trophy (which is open to musicians aged 14 to 25 who have a local connection, or who have been previous competitors at Holmfirth, and who aim to use the �250 prize to further their musical studies. A high standard of performance is expected, and each competitor offers a 15-minute programme. The winner in 2017 was Hannah Bird (left), whose recital included two pieces for viola, and two for piano. The annual Huddersfield Town Firework Spectacular, held in association with Standard Fireworks, will return to PPG Canalside and this year there is even more going on for the Family! Other activities for children will come courtesy of the Club’s ‘Football in the Community’ team. Everyone’s favorite mascots, Terry and Tilly the Terriers, will also be on hand to say hello to young Town fans in attendance. 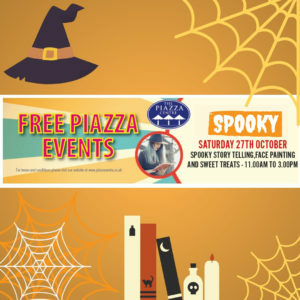 FREE Event …..Join us on Saturday the 27th of October for a spooky spectacular, there will be spooky story telling, Halloween themed face painting and sweet treat all for FREE. 11.00pm to 3.0pm. 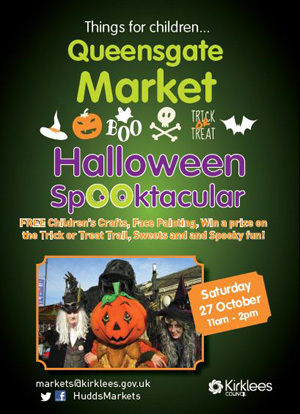 Free childen's crafts, face painting, win a prize on the Trick or Treat Trail, sweets and spooky fun! 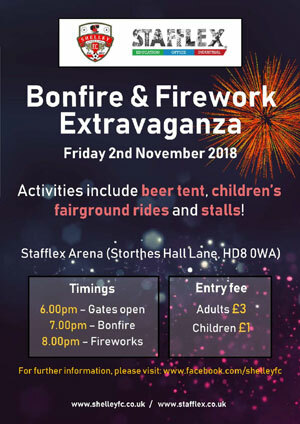 Join us for our Bonfire & Firework Extravaganza at the Stafflex Arena on Friday 2nd November. Cafe, bar and refreshments will be available on the night - everyone is welcome! 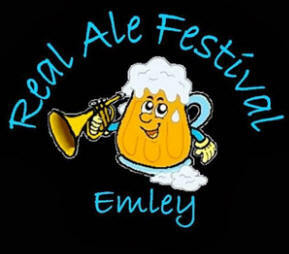 Beer tent, children's fairground rides and stalls. Based at Crosland Hill near the Sands House Public House and just above the World Famous Standard Fireworks factory, the event attracts many thousands of people each year. The Bonfire and Firework Display raises thousands of pounds with all proceeds going back into the local community. 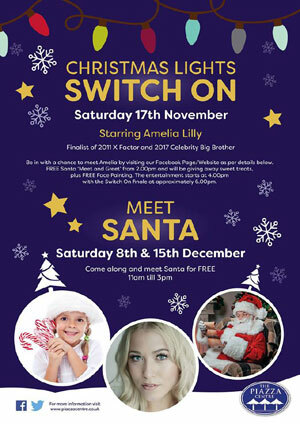 Come and join us for the Piazza & Huddersfield Light Switch on with Guest Star Amelia Lily, 2011 X Factor and 2017 Celebrity Big Brother Finalist. 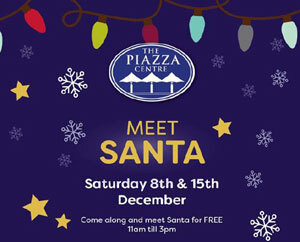 Santa will be here on Saturday 8th & 15th December for a Free meet & greet from 11.00 am to 3.00pm. hcmf// is an annual, international festival of contemporary and new music, over 10 days consisting of approximately 50 events, including concerts, music-theatre, dance, multi-media, talks and film, with a related Learning and Participation programme devised and implemented to reflect the artistic programme and respond to regional need. Come and join the mayor of Kirklees at this thoroughly festive event. 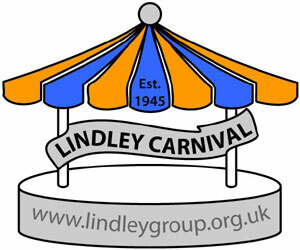 Activities including bands/music, sing-a-long carols and a mini fair ground, refreshments, stalls and Santa's grotto. Saturday 8th 15th & 22nd December 2pm � 6pm. 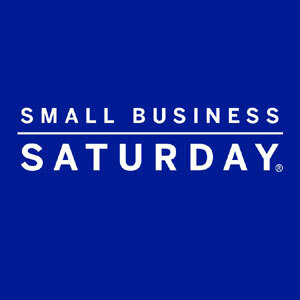 Small Business Saturday promotes the benefits of buying local and encourages the public to shop with smaller businesses. The initiative has backing from organisations and high-profile figures such as David Cameron and former Dragons' Den star James Caan. Small businesses can get involved by requesting a starter pack and promoting their businesses using the #SmallBizSatUK Twitter hashtag. Watch The Piazza Christmas Lights Switch On Video here!! Advanced bookings are available from 26th November onwards. Booking is not mandatory. 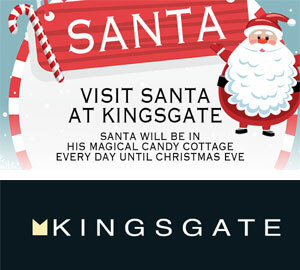 Price for a Santa visit with gift is �5 per child. Photo packages are available for an additional fee. 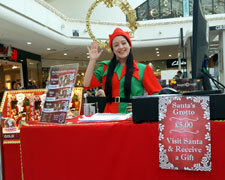 See Grotto Elves for more information. Late night Thursdays from 6th December until 8pm. 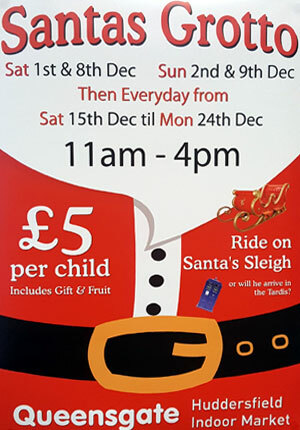 Come and ride in Santa's Sleigh at Queensgate Market. The Slaithwaite Moonraking Festival is back with a moveable feast of illuminated delights. This popular local festival, held biannually, celebrates the beautiful Pennine Community of Slaithwaite. A week of lantern making, music, story telling, arts and crafts culminates in a unique finale event re enacting the legend of moonraking from the eighteenth century, and then it's all back to the Leisure Centre for a Ceilidh. Enjoy fantastic Valentine's Day discounts and find great gift ideas for that special someone! 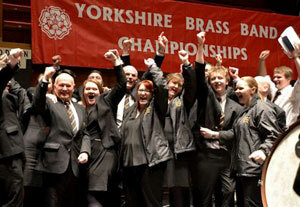 Over the weekend more than fifty bands will be competing across all sections seeking the honour of representing Yorkshire at the finals of the National Brass Band Championships of Great Britain. With some of the finest Bands in Britain such as Black Dyke, Brighouse and Rastrick, Grimethorpe Colliery, Rothwell and many others all competing in the Championship Section, few contests are so fiercely competitive. Event Annual St. Patrick's Day Parade through the Town Centre. 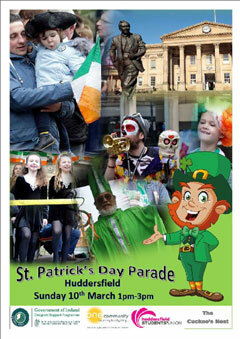 The Parade will consist of floats, pipe band, Ceili group, Celtic Rock band, samba bands, Brass Band, Majorette Troupe, Morris Dancers, themed characters and various organisations representing the spectrum of the Irish Community within Huddersfield and other associated groups. Other artistes include: RWD Rewind Covers Band, the rock �n� roll outfit: Jive Time, Celtic Uno, Ballyhoo, Finbarr�s Causeway, The Ferryman, Sarah Jay, Huddersfield Samba Bateria, The Frumptarn Guggenband, Silver Stars Majorettes, The Huddersfield Giants Cheerleaders and Dolly Mixtures Street Dancers. The Mid Yorkshire Chamber is delighted to be hosting their Kirklees Business Conference (KBC) at The John Smith’s Stadium. The free one day conference has become a main event in the local business calendar. Set to be bigger than ever, KBC is dedicated to helping businesses to connect, learn and grow. Attracting over 500 business people and 50 exhibitors, KBC includes a fantastic programme of engaging seminars, a discussion panel focusing on major developments within Kirklees and open networking throughout the day. 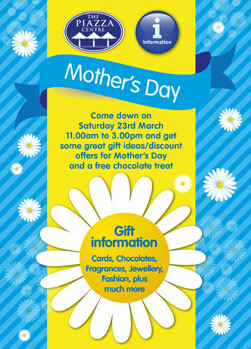 Call down on Saturday and receive a FREE Chocolate Treat, our promotional team will be onsite to assist with Mothers Day ideas, plus fantastic discounts on the day. The Huddersfield Carnival in its 34th year is a two-day programme of events held annually during the second weekend in July. An all-year-round programme of participatory cultural activities rooted in the Caribbean tradition, with schools, young people and families continues to feed and sustain Carnival Weekend.